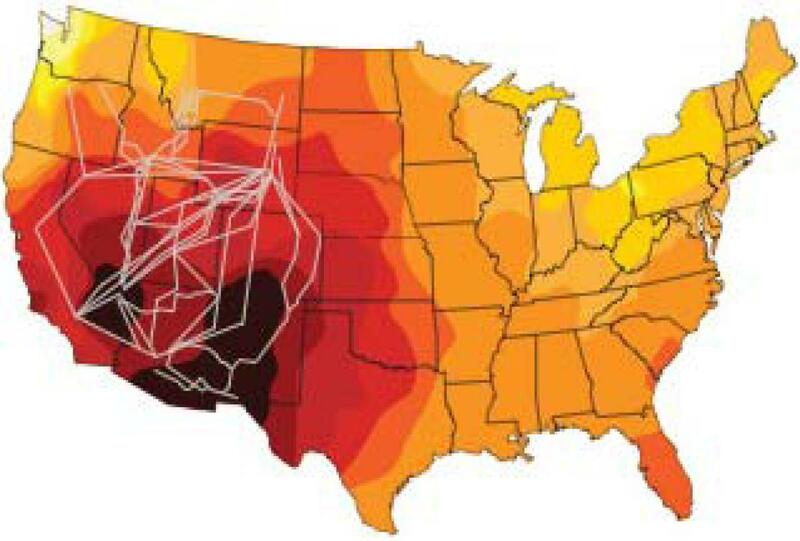 to capture the energy we need from the sun. It also means the lower the amortized cost of the energy that we produce. Wall Street banks so 700 executives could make $5 to $20+ million in undeserved compensation at taxpayer expense! immediately STOP building new expensive dirty-energy plants, and eventually begin to phase old ones out over time. wealth to countries that want to do us great harm, while paving our own undeniable Path to Poverty. It is Absolutely INSANE for a non-learning nation starved for energy to NOT invest in off-the-shelf Free-Fuel Clean Energy. The ONLY reason USA did not already do it decades ago is CORRUPT, DEADLY, FOSSIL-FUEL and NUCLEAR POLITICS. one more dirty fossil fuel, biofuel, or nuclear-energy power plant ever again, EXCEPT FOR CORRUPT ENERGY POLITICS. and nuclear power plants TODAY. Obama told the G20 that the word should STOP subsiding fossil fuels "mid-term." His 2011 budget calls for eliminating $40 Billion in terrible subsides (which he voted FOR when he was a U.S. Senator). Why should USA wait for many more years to do what was immediately required decades ago? All taxpayer money to be invested in any future power plants should be only for Clean, Safe, FREE-FUEL Power Production. We must NOT borrow one more penny from our children to build dead-end unsustainable expensive-fuel energy systems. legislators to use our scarce public funds to subsidize suicidal addiction to unsustainable, deadly energy sources ? ? ? Fossil fuels kill thousands of more innocent lives than abortion doctors do. "You strain at a gnat and swallow a camel." We do not have to invest $400 Billion in only one year to phase out dirty, expensive, power plants, but we do need to STOP making new 50-year commitments to them, and start investing wisely in our children's future Free-Fuel Clean Energy Sources. U.S. Senate) caused banks to resist investing in new highly-polluting future power plant construction. YEA ! (that you promised America in 2008). 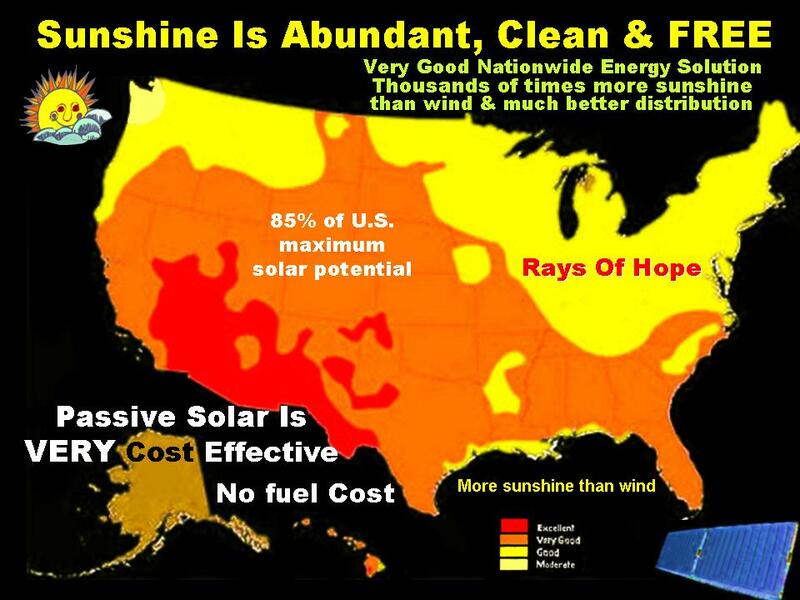 for our environment, but Free-Fuel Energy COSTS LESS than fossil fuels, or nuclear energy power plant construction ! 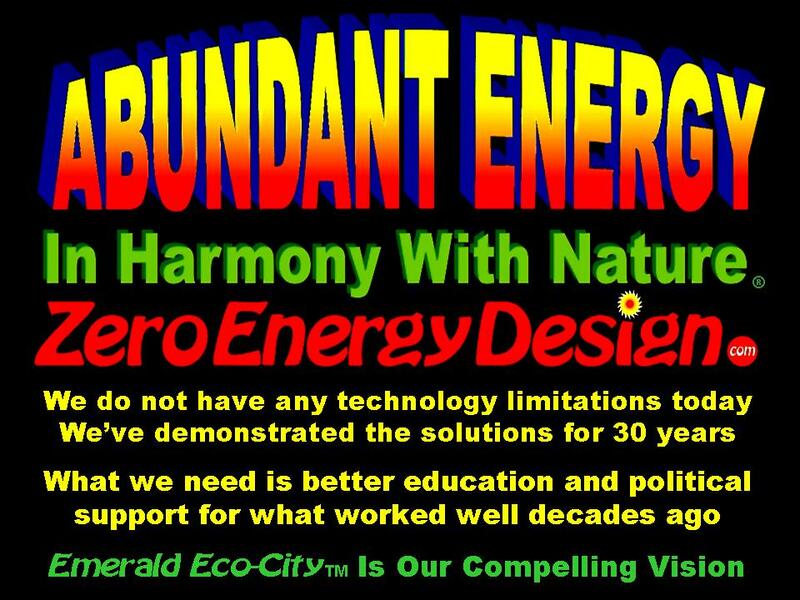 Copyright 1979 – 2011 Larry Hartweg www.ZeroEnergyDesign.com All international rights reserved - No reproduction in any form without explicit permission . This site developed by Rose Meye Hartwegr.